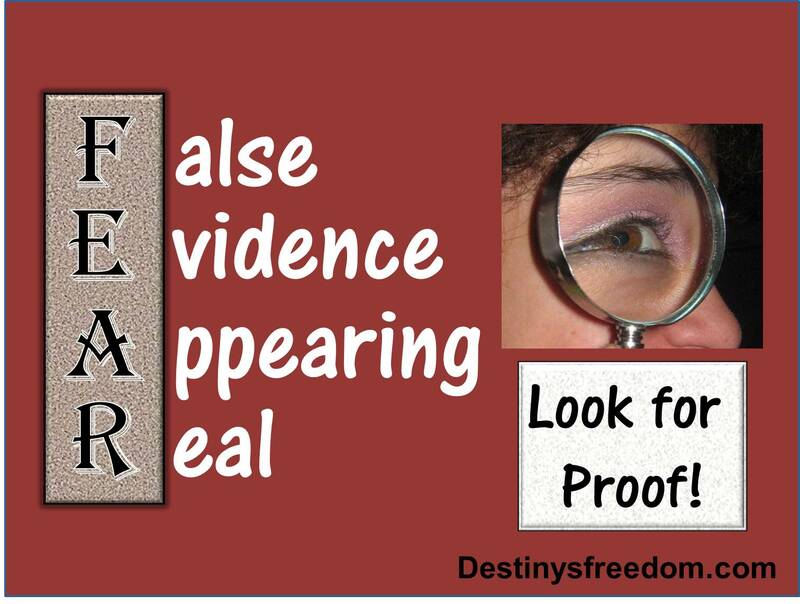 FEAR: False Evidence Appearing Real – Look for Proof! Most of us think our thoughts are accurate. We trust our own thinking so much that we do not think to question our own thoughts. That’s why I love this statement – FEAR stands for False Evidence Appearing Real. Often when we are afraid, it is not based on reality. It is based on assumptions and on inaccurate information. When my clients express a fear, I ask them for proof. They pause, stammer a minute and then realize that they don’t have any. We are so used to just believing everything that comes to our minds that we lose the ability to examine what is at the root of our fears. I don’t want them to look silly (being unable to prove that their fear is based on reality), but at the same time, I want to teach them to question their assumptions. For instance, a lady came to me once and said she wanted to become a confident communicator. She was afraid to start conversations at parties because she didn’t feel confident. We worked on some communication skills to help build her confidence. She improved and was ready to try out her new skills. However, she still felt afraid of “looking dumb”. So, I asked her to prove it to me. “Are you dumb?” I asked. She gave me a shocked expression and said, “No, of course not!” Then I asked her if she had ever had trouble in school due to learning difficulties or speech impediments that made her “feel dumb” among other children. She said no. “So how would you “look dumb” in conversation?” I asked her. I wanted her to figure out exactly what her fear was. What she realized was that “looking dumb” was a judgment. She was afraid that either someone else would judge what she had to say as “dumb” or she would think what she said was “dumb”. So we worked on these specific things. First, you cannot control other people’s judgment of you. She had to let that go. For her, the primary issue was judging herself as “dumb”. We did some work on that – to learn self-acceptance and self-compassion. And her fear melted away. The next time she went to a social gathering, she emailed me to tell me how smoothly it went. She successfully started several conversation with strangers and acquaintances and never once did she “look dumb” in her estimation. Success! Take some time to examine your fears. Can you find proof that what you imagine will happen actually has a good chance of happening? And if it does, then what? When we break down our fears, often we discover that they are based on a fuzzy sense of logic. By breaking them down, we can overcome them. I like who I am ♥ Do you like who you are? We project a certain vibe to others (unconsciously). If we reject ourselves, we send a message that says, “There’s something wrong with me – you probably won’t like me.” People feel this vibe without realizing it and guess what? They tend to reject you or keep their distance. I’m not kidding – I’ve seen this happen many, many times. But the opposite is also true – if you like yourself (no, I don’t mean being self-centered – there’s a difference), then you also send an unconscious message to others. It might say something like this, “I like myself. It’s okay to be me. Therefore, it’s okay to be you too.” People are drawn to those who are confident and like themselves. It’s a very attractive quality to have. You can be as FREE as …. What would it look like to be FREE to really be yourself? With no excuses or explanations – just YOU, wonderful, beautiful YOU! Most people are too afraid to be themselves. I talk to people every day in my coaching practice who tell me they are afraid to be themselves with others. They feel “lost” or like no one loves them – because no one really KNOWS them. And why? Because they won’t let anyone see the real person inside. You really can be as free as you WANT to be – but it takes work. I know – I’ve done a LOT of that kind of work myself … personally. I used to be terrified to let people see the real me – what if they didn’t like me? Guess what? It doesn’t matter. What really matters is if YOU like you. Then anyone else’s opinion is just that – THEIR opinion. I trust myself more than I trust anyone else and I like me. Can you say that about yourself? If not, contact me. I’ll help you. I’ve been there – I know how miserable it feels to be unknown and to feel unloved. I’ll listen and together we’ll figure out how to overcome the obstacles that prevent you from being known and feeling loved. It’s a LOT easier when you have someone by your side to help you. I got this insight one night as I was working with a person struggling with addiction. We (as a society) tend to judge those who are “addicts”. 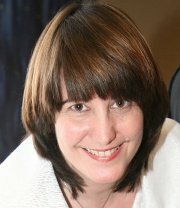 I’ve sat with grieving family members as they ask, “Why can’t he/she just STOP?! This addiction is tearing up our family.” Yes, it is. Addiction is a very painful thing to deal with – whether you are the person struggling with addiction or whether you are the loved one. Many of us, facing holiday gatherings, will encounter friends or family members who use a substance or a compulsive behavior to help them cope. Before you turn a critical eye on them, I’d like to reframe the picture for you. Here is an individual who is truly gifted. They’ve been sent here to earth to accomplish a mission. They carry answers inside of them that someone needs. But somehow, they didn’t get what they needed when they needed it. They WANT to contribute to society, to their family, to the world – to BE who they were made to be. But they hurt a lot inside … though they may never show it. They are scared. They have been rejected one too many times by people who should have been there for them. And often they’ve just given up on themselves. They’ve never been convinced that they are LOVED, that they are WORTHY, that they MATTER. Something deep inside is missing or broken and it’s so deep that they can’t tell you what it is most of the time. They don’t understand it either. So not only are THEY struggling, they also have to deal with the shame they feel of letting down those they love. They see the looks, they know what you’re thinking, they hear it in your tone of voice or the way you ignore them. They are very, very sensitive to the way others treat them. Brene Brown is a researcher into what makes people live authentically. She discovered some very important truths. In 2010 she presented the information at a TED Talk called The Power of Vulnerability. That literally changed her life. She came back 2 years later and spoke again at TED about the impact it had on her life. She is easy to listen to – she’s REAL. If you haven’t watched this video of hers, I highly recommend that you watch it now. If it’s been awhile since you’ve seen it, you owe it to yourself to watch it again. It will remind you how important it is to live authentically – to let your REAL SELF be seen and heard. I love Brene Brown – she’s a leader in her field. She’s changing the world.